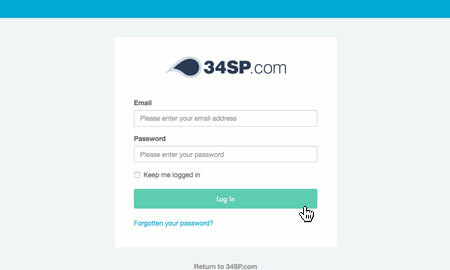 This is a quick step-by-step walkthrough for accessing website visitor statistics via the 34SP.com Control Panel. AWStats is a powerful free tool that generates advanced statistics on your website use and traffic. AWStats parses and analyses server log files, and produces reports using tables and graphs. After you have clicked on the website you wish to edit, you will be presented with a page of icons. Please click on the icon labelled 'AWStats'. The 'AWStats Users' page provides an overview of your AWStats account. Along with displaying your username, you can login to your AWStats account and edit your password via the table, by clicking on the relevant icon. To access AWStats, simply click on the 'Login' icon. You will need asked to enter your AWStats username and password before you can view the page. Due to security reasons, it is not possible to view a password for a AWStats user. If you do not know the password, we recommend you reset it. 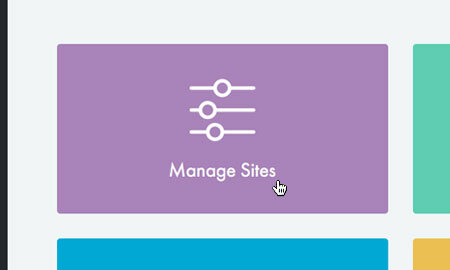 To change or reset an AWStats user password, simply click on the 'Reset Password' button (the pencil icon), when viewing the 'AWStats Users' page. This will bring up a form. Simply fill in the fields with your new password. When you're done, click 'Reset Password' to save your changes. Please note: It is not possible to edit your AWStats username.